Robert Frost never felt more at home in America than when watching baseball "be it in park or sand lot." Full of heroism and heartbreak, the most beloved of American sports is also the most poetic, and writers have been drawn to this sport as to no other. With Baseball: A Literary Anthology, The Library of America presents the story of the national adventure as revealed through the fascinating lens of the great American game. Philip Roth considers the terrible thrill of the adolescent centerfielder; Richard Ford listens to minor-league baseball on the radio while driving cross-country; Amiri Baraka remembers the joy of watching the Newark Eagles play in the era before Jackie Robinson shattered the color line. Unforgettable portraits of legendary players who have become icons-Babe Ruth, Ty Cobb, and Hank Aaron-are joined by glimpses of lesser-known characters such as the erudite Moe Berg, who could speak a dozen languages "but couldn't hit in any of them." 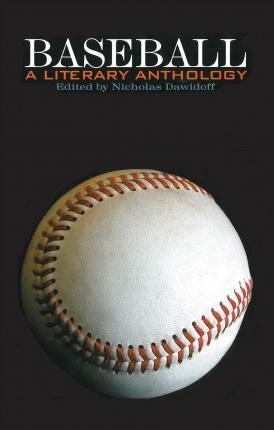 Poems in Baseball: A Literary Anthology include indispensable works whose phrases have entered the language-Ernest Thayer's "Casey at the Bat" and Franklin P. Adams's "Baseball's Sad Lexicon"-as well as more recent offerings from May Swenson, Yusef Komunyakaa, and Martin Espada. Testimonies from classic oral histories offer insights into the players who helped enshrine the sport in the American imagination. Spot reporting by Heywood Broun and Damon Runyon stands side by side with journalistic profiles that match baseball legends with some of our finest writers: John Updike on Ted Williams, Gay Talese on Joe DiMaggio, Red Smith on Lefty Grove. Nicholas Dawidoff, editor, is the author of The Catcher Was a Spy: The Mysterious Life of Moe Berg (1994), In the Country of Country: A Journey to the Roots of American Music (1997), and The Fly Swatter: How My Grandfather Made His Way in the World (2002).